In year 2011, during the post match celebration of world cup winning match, Virat Kohli was seen doing something unusual that we had never seen before. He was seen carrying Sachin Tendulkar on his shoulders. It would have been a tough task for him as Sachin's personality had become massively heavy (thanks to what he has offered Indian cricket before retiring) by then. Lifting an icon as big as Sachin, the god of cricket, as a youngster would have been a pleasure because interestingly it was never allowed to anyone from the side of master blaster himself. Virat Kohli today, as every cricket fan knows him, has come a long way with batting records swimming into his own made aquarium that he enjoys and lives as a dream. Even Sachin Tendulkar used to say that records are meant to be broken every time he himself named a record by showing us every single way of breaking so many of those. Virat Kohli, on the other hand, seems to be in a lot of hurry to trap every batting record inside the unbreakable cage he's built for himself with world's most strongest and hardest materials ever found: Confidence and Performance. Kohli has been a fantastic batsman on one hand whereas he's been an equivalently outstanding chaser as the cricket world knows him. The credit for introducing the aggression in a player's body language goes to Saurav Ganguly without any shadow of doubt. Over the period of last so many years, that aggression has got transformed and better from one player to another. There used to be a time when verbal vollies from opponents outside the ground and sledging during the match were considered more than enough to break our batsman's confidence resulting in painful defeats. But time has changed and so has Indian cricket. Today, we see the highest class of aggression, the consistent ability of not to fail and jaw dropping performances from our players more often than not. 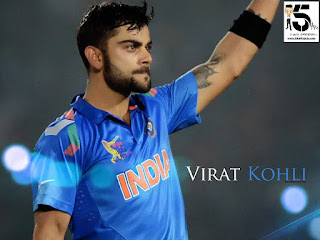 A big percentage to this magnificence in performance goes to Virat Kohli, undisputedly. He has leant not only to convert his aggression into sheer performances but he's also mastered that art perfectly. The way he bats now makes every batting record look smaller compared to what we used to comprehend 6 - 7 years back. He has become a painful agony and a haunting nightmare for all the bowlers playing in modern era. 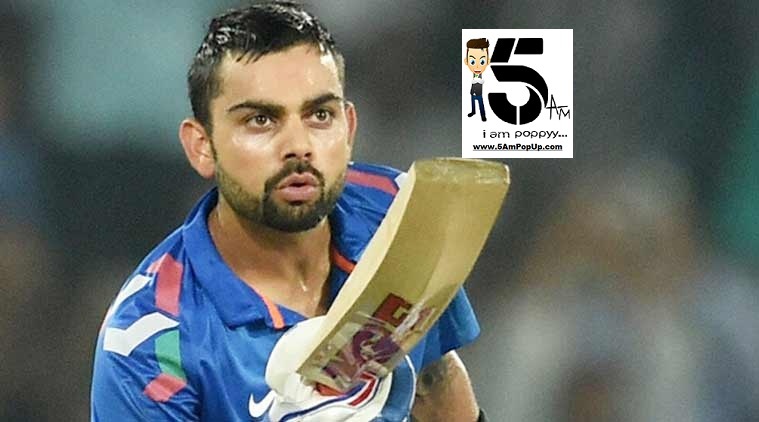 Kohli, nevertheless, never looks very keen towards playing for making records. In fact, he finds peace in giving his 100% to what his team demands of him and there he registers his name with a new record every time he finishes up a match while gifting us a victory. If someone believes that the class of bowlers has gone down then in that case, there would have been so many Kohlis out there from good batting teams that has not happened by this time. The way Kohli demonstrates his batting perfection, it makes batting looks infallible (if mastered) but it is certainly not the case. Mind it.